In 1940, during a fiscal reorganization, New Map's founder Paul Martin found himself quietly sidelined by an ambitious Robert Robin. 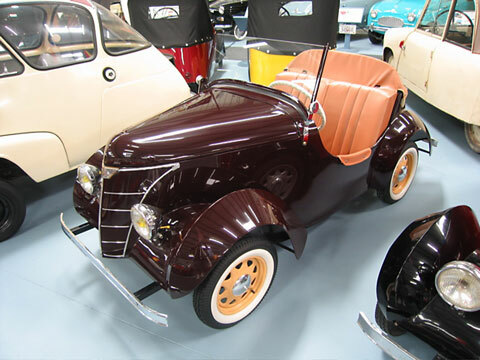 1945 saw the return to small motor manufacturing, and the tiny utility truck, Solyto, put aside in favour of a reintroduction of the Baby under the Rolux name. A sister company in nearby Clermont-Ferrand assembled the redesigned VB-60. It was now powered by an Ydral 125cc two-stroke, but the pretty body style remained essentially the same.